In many wordpress blogs, we are seeing the code like below. If you are running your blog on Wordpress.com, you just include the following lines before your code. Wordpress.com gives us the facility to avoid worrying about code highlighting. If your code is in between these blocks then it will automatically render as per the language you specified. It can support many languages. If you have a self-hosted site, or one hosted on wordpress.org, you should should use the SyntaxHighlighter plugin: wordpress.org/plugins/syntaxhighlighter. What you are looking for is some kind of syntax highlighter. Where the code shows up in your post in a box with the number of lines, etc, correct? There are some plugins in wordpress for that. Adding to SHEKHAR SHETE's answer. 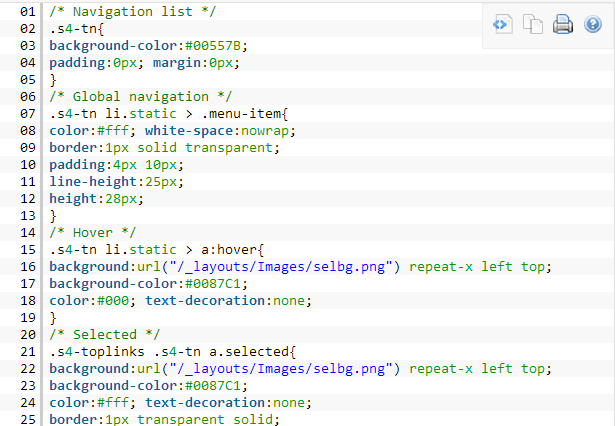 Switch to Text from HTML in your wordpress editor, then insert <code> as starting tag and </code> as end tag. This is the only method that works in the latest wordpress at the time I am writing the answer. Have fun! Not the answer you're looking for? Browse other questions tagged wordpress or ask your own question. Can I install/update WordPress plugins without providing FTP access? How to set CodeIgniter to ignore Wordpress folder? How to get the current page name in WordPress? Is wordpress routed using index.php? How to enable HTML editor in Wordpress?